There is a clear inference that considerably fewer people are in prison now than was the case at some earlier point. So I look for the passage that tells about the September quarter total compared to the June quarter. Not there. 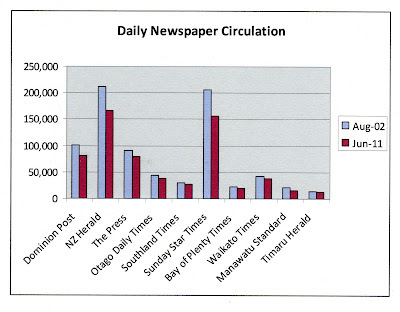 And Corrections still has the June total up. So what is the headline based on? 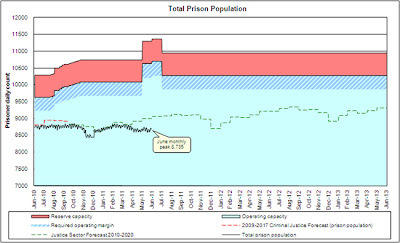 In the past decade the prison population grew by 45.6 per cent – but the latest annual Justice Sector Forecast predicts that in the next 10 years it will fall by 6.2 per cent. It's based on a prediction. 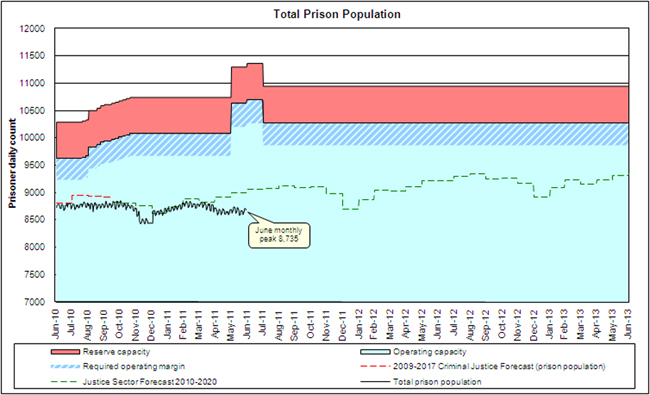 The Justice Sector Forecast was predicting continuing growth. The story is actually about why the forecasts have changed. The headline is utterly misleading. DPB numbers rocket based on Treasury budget forecasts. I would be pilloried. Older mothers "selfish and self-centred"
A Perth doctor has labelled women who have their children in their late thirties as "selfish and self-centred." And a third of Melbourne Age readers agree with him. My youngest was born when I was almost 39. She was unplanned. I didn't really intend on having another child but thought that on balance providing a sibling for the older one and my husband's delight at the development made it a good thing. When she was born I fell in love with her immediately. Such a sure-of-herself, snuggly and robust little thing. Physically stronger and healthier than my first-born. The article covers all the reasons why women are apparently "selfish and self-centred" for having children later. 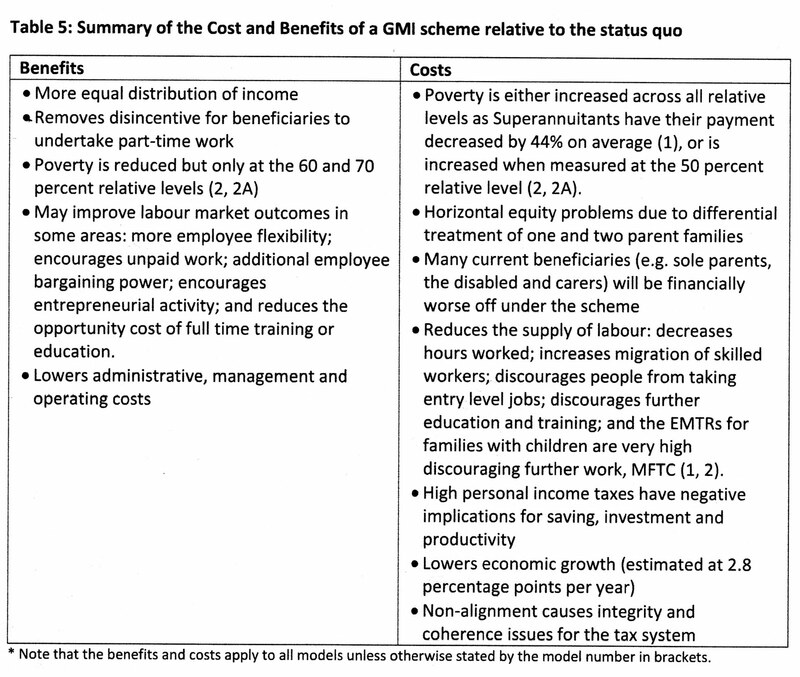 The additional cost to the health service, becoming geriatrics and a burden on the children later. But women who give birth later have usually contributed more tax. As far as it being a debate about public goods, its swings and roundabouts. The choice to leave parenthood till later doesn't impinge on anyone else, unlike the choice to have children you can't financially support - at any age. But really, it's nobody else's bloody business. And I wouldn't have blogged on the subject bar it being yet another example of the busybody mentality displayed by people who think they know best. And disgustingly, a large minority fall in behind. Apparently secondary school teachers are to get two more 'teacher only' days next year to cope with the NCEA workload. They already get quite a few. Or that's how it seems when you have a child in the system. How good is a regime that requires more and more administration and delivers less teaching and learning? And are there any fans of NCEA out there? 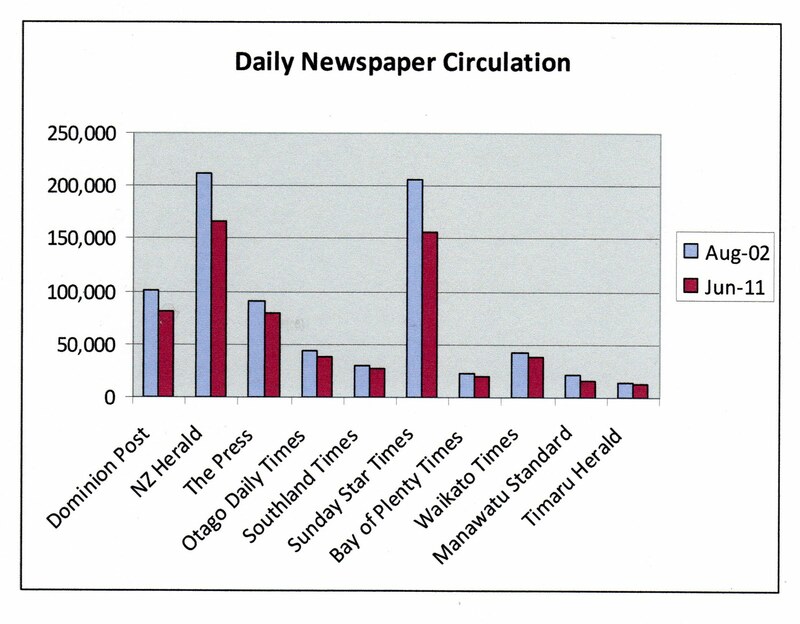 A Waikato Times editorial suggests that 'beneficiary bashing' is the next most popular sport to rugby. It recommends venues to play and tools to use. Dripping with sarcasm of course. Charming. As a prime critic of the welfare system it jars to be characterised as ignorant and indifferent but not enough to make me stop. 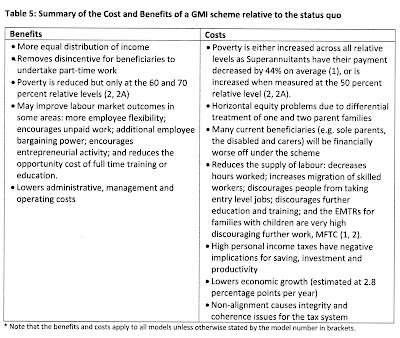 Yesterday I blogged about the outgoing MSD boss affirming that benefits are not best for children. Today a WINZ regional commissioner is saying, "We all know from the research that is being done that people are better off when they are not on benefits." This statement seems commonsense and obvious but it is a substantial shift for a government department to publicly get in behind the ethos of the presiding government. The outgoing chief executive of the Ministry of Social Development has at last acknowledged the findings of research conducted almost ten years ago. This is a welcome but long overdue admission. Peter Hughes yesterday told a Wellington newspaper, 'We know that for the same level of income, kids do better where that income's derived from paid work.' He is referring to his own department's research that appeared in the Social Policy Journal of June 2002 but was never widely publicised. The findings would suggest that policy should aim to both reduce the number of children reliant on welfare and prevent more coming into the system. None of which happened under Mr Hughes' stewardship. The findings, and Hughes' belated admission, have implications for the many groups who oppose work-testing of the DPB and advocate a parent's right to stay on a benefit unconditionally. Hughes also described how 'people get stuck [in the system] and they need help to get out' and characterised the welfare system as 'very passive for a long time'. Whether he believes the system has become less passive under his watch is unclear. While numbers on the unemployment benefit plummeted during the early to mid- 2000s, numbers on other benefits have risen or remained fairly static. It is a great shame that the outgoing CE has waited until now to make these observations. And that senior public servants seem unable to draw public attention to matters of considerable national importance to the country within the boundaries of an apolitical civil service. Going back two years to the 2008/09 year there were 88 homicides which compares to 93 in the latest year. In 2008/09 manslaughter and driving causing death acccounted for 12 of the homicides. In the latest year that almost trebled to 35. In 2008/09 murder accounted for 54 of the homicides. In the latest year that dropped to only 34. The increase/decrease is a very similar margin. How much of the drop in murder rate is due to the charge laid and conviction determined? Over on FrogBlog Meteria Turei is bemoaning National's move to loosen up regulation out-of-school care. Social Development Minister Paula Bennett has realised that if you’re going to work-test sole parents and force them into low-paid jobs when their children are six (or younger), someone’s going to have to look after the kids. Quality out of school care is critically important for many parents balancing full or part-time work with child rearing, and more funding for the sector is certainly welcome. However, I’m pretty concerned at the moves to reduce standards at the same time. As a parent, it can be incredibly hard to leave your kids with carers – even the most trustworthy and able carers – without feeling stressed, anxious, or guilty. You want to be certain that your kids are safe and well looked after, and it helps if they’re with carers who will get to know them as individuals. "If the work-tested sole parent you refer to was themselves employed in before and after schoolcare – say 4 hours a day for 5 days a week – that would fulfil the part-time work-test. In the process they would be providing care for their own and other children. What’s wrong with that?" Clearly the costs outweigh the benefits. But no doubt we will be treated to another sales pitch for Morgan's Big Kahuna in this week's NZ Herald.